Today we are faced with an increasingly advanced age, an increasingly rapid technological developments make us have to continue to keep up with knowledge. All work is now completely on doing with computers, humans only used as a control to do things that can not be done by machines. Data processing to storage in the rapidly evolving world of computers. Before there was a computer, paper and pens to be the most important thing in recording and data storage. But gradually the era of computerization make us switch to digital data storage that can be flexible to be changed or transferred from one place to another. Primary storage database is attached to the computer hard drive, but due to a monotone function as a computer data center hard drive becomes less flexible. For that reason attending a mini disk drive with the capacity to simply move data from one computer to another. Lack of capacity of floppy disks is a bit too fragile and damage occurs, besides its age too short. 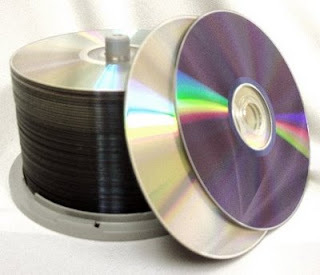 With the requirement that people create Compact Disk (CD) that have a higher capacity and not easily damaged, but once again the weakness Blank CDs are re-editing capabilities are limited. More data needs to make progress from a CD is a DVD, the excess of a blank DVD is the capacity and the resulting data is also cleaner and can be arranged neatly. Both the CD or DVD requires an additional tool that is embedded in a computer that is used to read existing data in memory. Then based on their needs, Be portable media that began with a portable hard drive that can directly plug and play on a computer without installation. Recent developments appear a USB disk that is small and has a large database storage memory. Upgrades continue to be done regarding the capacity and flexibility of memory that contains the data making it easier for the user.